Goodreads: When Adam Blake lands the best elective ever in his senior year, serving as an aide to the school psychologist, he thinks he’s got it made. Sure, it means a lot of sitting around, which isn’t easy for a guy with ADHD, but he can’t complain, since he gets to spend the period texting all his friends. Then the doctor asks him to track down the troubled freshman who keeps dodging her, and Adam discovers that the boy is Julian—the foster brother he hasn’t seen in five years. 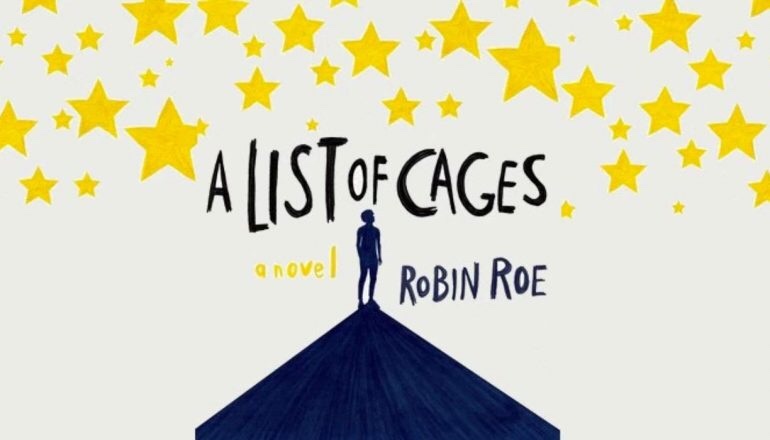 A List of Cages is an endearing and heart-wrenching tale of loss and the beauty of friendship, the benevolence it imparts to the grief-stricken, unhappy and lonely and how a cheerful presence is a kindness in itself. I adored this book, I fell in love with the simplicity of the characters and I even surprised myself by choking back tears which I eventually had no option but to release because of the intensity and tragedy of Julian’s circumstances. Having lost his parents to a tragic accident, Julian is placed in foster care with the Blake family, but soon after, his uncle Russell is given guardianship of him. Now, it is years later that Adam and Julian begin seeing each other again as Adam, aide to the school psychologist, must ensure that Julian turns up for his counselling sessions which he has been repeatedly missing. Adam is shocked to find that the once curious, talkative and imaginative child that he knew is no longer the same person, in fact, he is wildly different to who he once was though his kindness remains. As their friendship develops, Adam unravels what is going on behind closed doors and the reason why Julian is the way he is. The strength of the book lies in the friendship between Adam and Julian. Adam brings to mind the happy-go-lucky naiveté and enthusiasm of Hassan from the Kite Runner and Julian is a textbook Charlie from the Perks of Being a Wallflower. What evolves from this friendship is more friendship as Adam’s large group of friends eventually befriend Julian too, opening up a whole new world of companionship for Julian that he had been sorely missing though Charlie, Adam’s best friend, takes a long time to warm up to Julian due to jealousy. Charlie’s jealousy is understandable, and, as a reader, I couldn’t bring myself to be irritated by his outbursts because, like Charlie, I completely understood his frustration at being the eldest in a huge family because that’s an immense load of responsibility that we didn’t sign up for. This jealousy leads to the heart-warming moment between Charlie and Julian in the car where Charlie shows us a vulnerable side to him and Julian is able to knock those walls down. Charlie, further, proves to be a courageous friend in the action-packed ending. As Adam learns more about Julian’s situation, his loveable enthusiasm for life wears off. In short, the manic pixie dream boy is made human. The depiction of the abuse is well-done, though frightening and revolting as uncle Russell takes clear pleasure in inflicting harm. It’s the first time Adam really encounters how horrid life and people can be and he is struck hard by this fact. He is haunted by his inability to spring to action in the final moments of the book and reflects hard and pessimistically on his ability to make a difference. Luckily, Emerald is nearby to rightly remind him that there are many different ways to be good and, often, with a cheery presence we can light up the world – or at least a room and that makes a world of difference to the people Adam encounters. This causes us, as readers, to reflect on our own strengths and how we can make a difference in the lives of others. These little small actions of kindness make a big difference in people’s lives. We don’t all have an Adam in our lives, but we can bring a little spark of Adam’s joy and Julian’s sincerity in other’s lives. There are a whole cast of side characters who are not explored and there are a few who are developed but without thoroughness which some readers may be frustrated by. However, I don’t believe it was altogether necessary to do so as characters like Charlie are easy to understand and, in doing so, would have overwhelmed the plot. One character who could have been further explored is Emerald who, despite her prominence in Adam’s life, still remained a mystery by the end of the novel. Another character who was fairly well-developed and both interesting, spunky and lovable was Adam’s mother who was a textbook social justice warrior mother and I would be ecstatic to see a book focussing solely on her character. Roe’s writing isn’t stellar, but her story-telling is. Though my mind was telling me I need to sleep, my heart was telling me to read one more chapter and, somehow, I was able to finish the book in a matter of a few days which is a rare instance for me. I was eager to find out how the story ended for Julian and Adam, and I was happy to find it was resolved the way I hoped it to be. On the whole, Robin Roe is an engaging story-teller, her writing is fast, effective and impactful, and I was surprised to find that this is her debut book. I certainly look forward to reading more books by the author. What are your thoughts on A List of Cages? How would you/do you react when you see someone being bullied? Would you try to understand the bully? What are some ways we can make a difference in people’s lives through small, every day actions? Let me know in the comments! P.S. It’s great to be blogging again. I took a break for almost an entire month because I wanted to enjoy the holiday period, but now I’m really excited to be back and start blogging again. I hope everyone enjoyed the holidays! This book is beautiful. I need to reread it soon. Wonderful and thoughtful review! Sounds like a great read. It hadn’t been on my radar before. Although, now I am worried about that action-packed ending you mentioned. Is Julian okay?? I think your review was fair and honest. It did make us want to learn more about Julian.